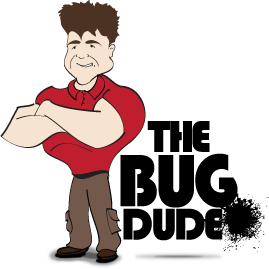 The Bug Dude Pest Control Dallas area has been offering various pest and termite services to satisfied customers. We specialize in complete control and eradication of insects and animals from your home or business. Our certified professionals are constantly learning the latest and most effective techniques to remove pests from your life. Call us today to set up an appointment. 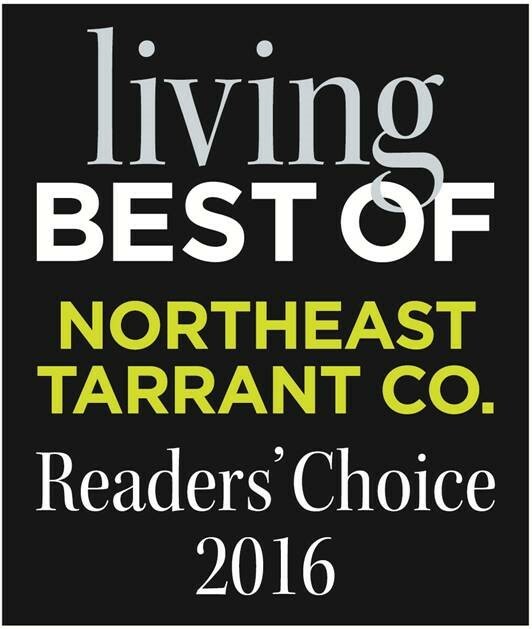 We are always working hard to be the best in our industry and would like to say thank you to those that selected us as Best Of Northeast Tarrant County in our industry for 2017! It’s that time of year again. Spring has arrived bringing with it warm weather, rain, and humidity. And though this combination makes our trees, grass, and flowers look gorgeous, it is also a perfect recipe for the start of termite season. 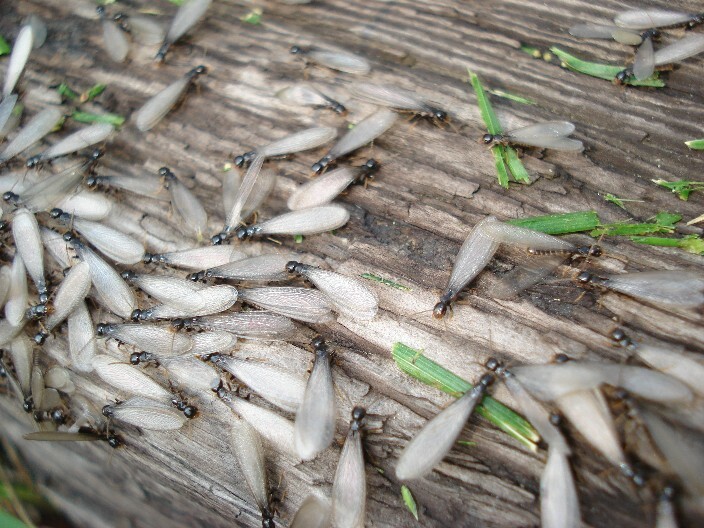 When the weather hits just right, you can expect to see swarms of winged termites on the wind, which is why they are such a popular topic of discussion every April. Last year we brought you a Termite 101, which let you know all the basics of termite behavior, damage, and treatment. But as with anything that can cause significant damage, there is always extra anxiety, which brings with it a whole host of accompanying fables and misconceptions. So this year we’re going to go over five of the most common termite myths and let you know what is fact and what is fiction…and what is somewhere in between. Myth #1: If you see a winged ant-like bug in your home this time of year it can only be a termite. This is definitely one of the biggest misconceptions that we regularly encounter. Though termites are extremely common in April, the mix of warm weather and humidity are also excellent conditions for the arrival of a wide array of pests, including carpenter ant and fire ant swarmers, which are easy to mistake for termite swarmers to the untrained eye. If you take a look at our articles on termites and carpenter ants you can get a better idea of exactly what it is you are looking at, and what you can expect in terms of potential damage as well as treatment options. However, no matter what the pest turns out to be, when you start seeing swarmers (winged ant-like insects), the best course of action is to have a termite technician out to evaluate the situation; it’s always better to be safe than sorry. 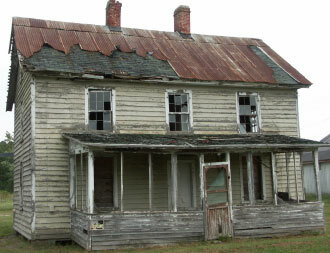 Myth #2: If I don’t get termites treated the minute I see them they will destroy my house. This is one of those myths that is based somewhere in between fact and fiction. Though termites will do extensive damage to a home if left untreated, they’re not about to make the structure collapse overnight. 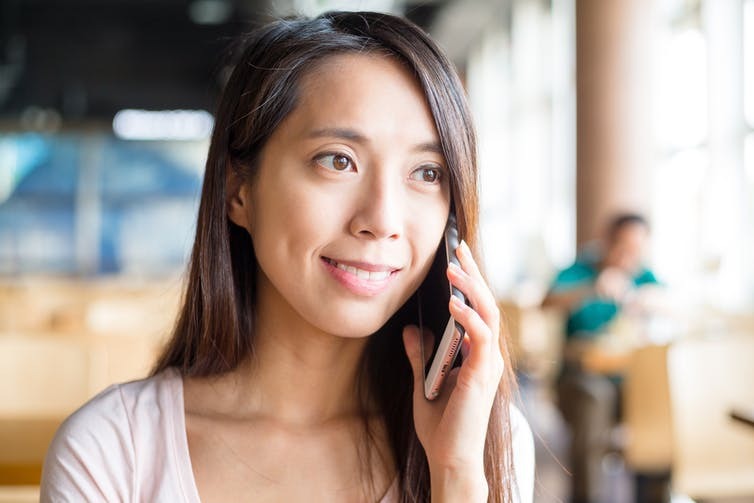 This means that you have time to get a technician out there to evaluate the situation, give you treatment options, and then arrange to get it treated; as long as this is done in a reasonable time frame, there’s no need to add stress to an already stressful situation by worrying about every minute that passes. It is true that a quick response is key to mitigating damage, but remember that by the time you see termite swarmers, the colony has already been doing damage for several years, so a few days will not make any significant difference. Myth #3: The signs of a termite infestation are obvious. Unfortunately, other than termite swarmers, the signs of an infestation can be very easy to miss. Unlike carpenter ants, which will leave noticeable piles of wood shavings (called frass) when the colony has grown to a sufficient size, termites generally do not leave telltale external signs that they are in your home. The only sign, other than swarmers, that you are likely to encounter are mud tubes, which are basically covered pathways the termites use for transportation. However, these tubes are generally camouflaged against the foundation of your home, making them very difficult to detect unless you know exactly what you are looking for. The only other time you are likely to find out you have an infestation, other than when a termite technician is out at your house and identifies the signs, is when you are doing home repairs or remodeling and discover the wood damage, or the actual termites themselves, in your open walls. Myth #4: One termite treatment will last the life of your house. It’s true that termite treatments are designed to last longer than your average pest control service, but they certainly don’t last forever, nor would you want them to. The idea of never having termites again may sound appealing, but the ecological impact of using a pesticide with that long of a life would be disastrous. Ultimately, termites are a part of life, which means that it is impossible to give a 100% guarantee that termites will never return to a structure. Though a professional termite treatment will eradicate the current infestation, termites are prolific and since pesticides can only last so long while still being safe to be used around you and your family, there is always a chance a new colony could find its way to your home in the future. Fortunately, most professional termite treatments come with a warranty and regular inspections, which will aid in keeping your home free from termites, and will give you peace of mind knowing that if they come back, they can be detected early and treated before extensive damage is done. Myth number 5: I can save money if I just treat termites myself. When it comes to termites there is no good over-the-counter option. The products needed to treat a termite infestation are significantly stronger than what is safe for use without a license. Additionally, termite treatments involve much more than simply spraying a product around your home. A qualified technician not only needs to assess the source of the infestation, but they will often need to trench, rod, drill and inject in the right areas (usually exterior and interior) in order to eliminate and control the issue. In the end, by attempting to save money up front and treat for termites yourself, you’re almost certain to end up costing yourself much more in the long run when termites do extensive damage to your home because they were not correctly treated and eliminated. When it comes to dealing with something as significant and potentially costly as a termite infestation, it’s important to know what you’re dealing with and be able to understand fact from fiction. 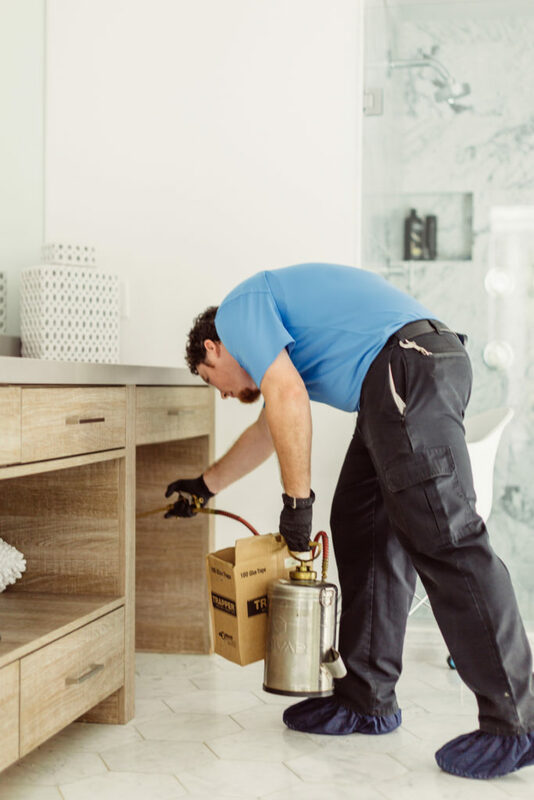 And if you’re ever in doubt, it’s always better to err on the side of caution and call a trusted pest control company to ask for advice rather than simply believing the termite myths that have a way of proliferating. So as spring arrives, know that the staff at Mid-Cities Pest Control are ready and waiting for all of your termite questions. Author Bio: Alissa Breach has been gaining knowledge and experience around pest control concerns over the last 10 years while working for Mid-Cities Pest Control. She has a creative writing BA from UW-Madison and is always pursuing new and interesting writing projects.